​​​​​​ HOUSTON – White & Case LLP has signed an 11-year lease for 57,315 sf at 609 Main in downtown. 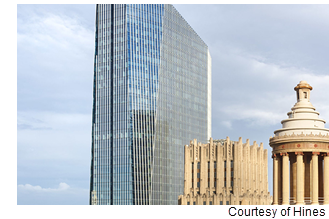 The law firm will occupy the 29th and 30th floors of the 1.1 million-sf office tower. JLL represented the tenant. Hines represented the landlord, Colvill Office Properties.